Choose from Gold or Silver Foil. Choose from Silver or Gold Foil. No coating on this stock. It is simply a pure flat finish. Edge Painting is a technique of painting the edges of Business cards. We offer several bright colors so you can match the color of your logo which looks even better. 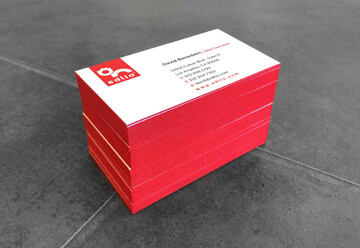 You can Request A Quote if you have a cutom order or refer to our Edge Painting Business card Page. 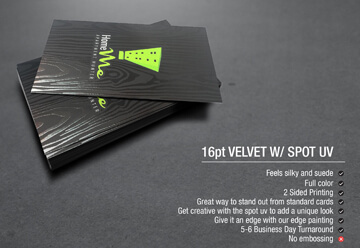 Looking for foil stamp business cards printing services in Los Angeles? 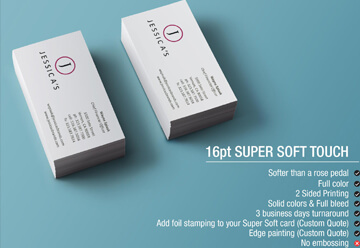 Have you ever come across a great foil stamp business card that caught your eye? 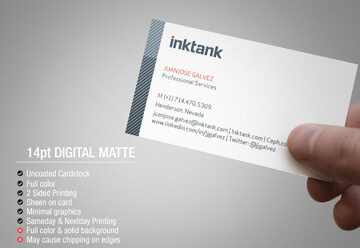 You may have thought that printing full color business cards is for the most part expensive. 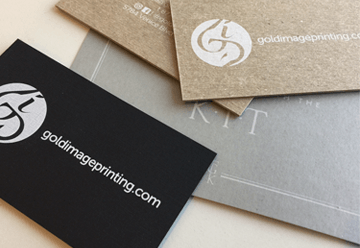 At Gold Image Printing, we offer high quality foil stamp business card printing, low cost full color business card printing services at literally a fraction of the cost of other printers. What makes us inevitable is our printing services nationally, not just local. We provide our printing services to a great amount of companies that allows us to pass our savings on to you, and insures you the best price possible. Gold Image Printing understands how difficult it is to run a business, this is why there is no reason you should be paying extra fees for your business card printing. 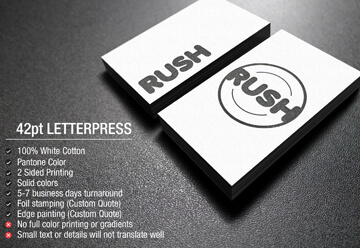 Feel free to contact us for all of your same day and next day business card printing services in Los Angeles area. Gold Image Printing will process all of your printing project right away. We are proud to be one of the fastest printing companies in Los Angeles. LA fastest print shop that really cares!